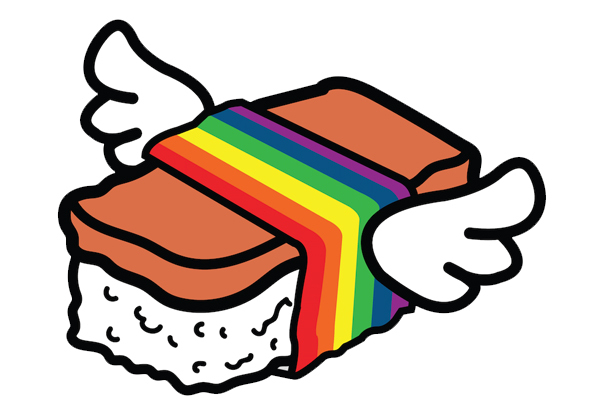 Celebrate the Rainbow is this year’s theme for Honolulu Pride™ and the flying rainbow spam musubi is our icon. Musubi are quintessential Hawaii, and in our version the rainbow holds everything together symbolizing unity through diversity, empowering everyone in our community to grow together. Diversity is one thing we all have in common, so let’s Celebrate the Rainbow! Visit our online store to purchase your official Honolulu Pride™ merchandise. Support Hawaii’s LGBTQ+ community and get your pride on!